Whitaker, Reg. "Pierre Elliott Trudeau ". The Canadian Encyclopedia, 20 November 2017, Historica Canada. 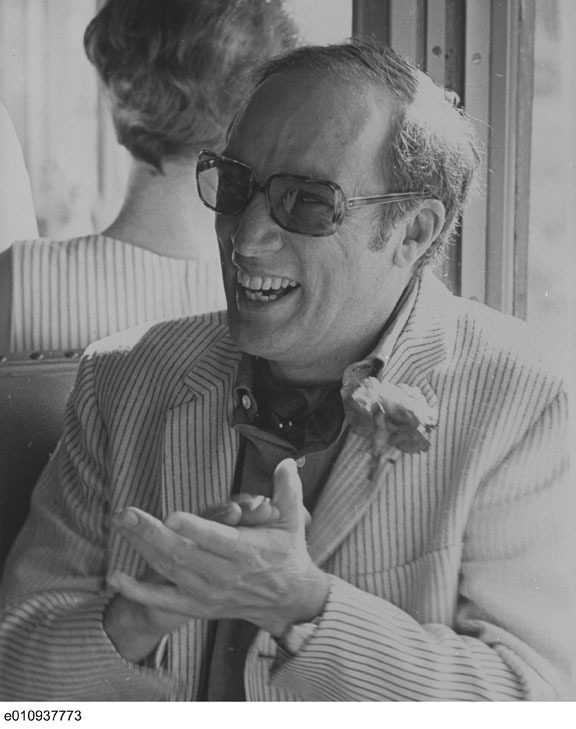 https://www.thecanadianencyclopedia.ca/en/article/pierre-elliott-trudeau. Accessed 24 April 2019. 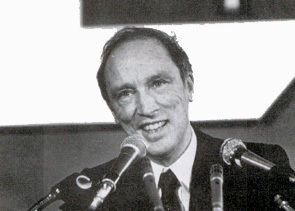 Pierre Elliott Trudeau, PC, CC, prime minister of Canada 1968–79 and 1980–84, politician, writer, constitutional lawyer (born 18 October 1919 in Montréal, QC; died 28 September 2000 in Montréal). 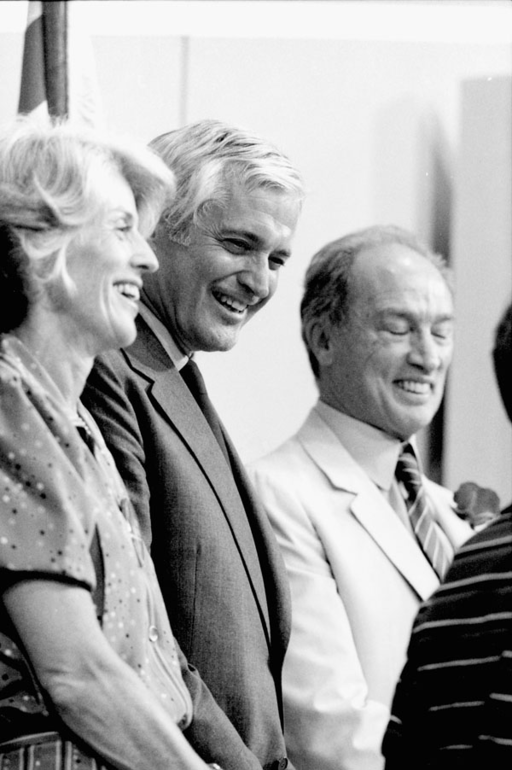 The 1980 election was a turning point in Canadian federalism, as Trudeau returned to power with a single-minded mission (Duncan Cameron / Library and Archives Canada / C-025002). 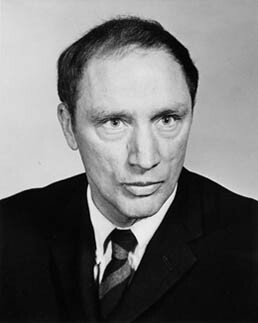 Pierre Elliott Trudeau, PC, CC, prime minister of Canada 1968–79 and 1980–84, politician, writer, constitutional lawyer (born 18 October 1919 in Montréal, QC; died 28 September 2000 in Montréal). A charismatic and controversial figure, Trudeau was arguably Canada’s best-known politician, both at home and abroad. He was instrumental in negotiating Canada’s constitutional independence from the British Parliament and establishing a new Canadian Constitution with an entrenched Charter of Rights and Freedoms. Trudeau also brought in the Official Languages Act in 1969, making Canada officially bilingual. While he played an important role in defeating the Québec sovereignist movement of the 1970s and 1980s, his federalist stance as well as his language and economic policies alienated many in Canada, particularly in the western provinces. Trudeau was born into a wealthy family, the son of a successful French Canadian businessman and a mother of Scottish ancestry. Educated at the Jesuit Collège Jean-de-Brébeuf, Université de Montréal, Harvard, and the London School of Economics, he also travelled extensively in his youth. Upon his return to Québec from a year's travels in 1949, Trudeau supported the unions in the bitter Asbestos Strike, a formative event in postwar Québec society. In 1956 he edited a book on the strike, to which he contributed an introduction and conclusion criticizing the province's dominant social, economic, and political values. After serving briefly in Ottawa as an adviser to the Privy Council Office in 1950–51, Trudeau returned to Montréal and devoted his energies to opposing the Union Nationale government of Maurice Duplessis and agitating for social and political change. With other young intellectuals he founded the review Cité libre. In this and other forums, Trudeau sought to rouse opposition to what he believed were reactionary and inward-looking elites. In the process, he developed a reputation as a radical and a socialist, although the values he championed were closer to those of liberalism and democracy. After the Liberal victory in the 1960 provincial election, the Quiet Revolution fulfilled some of Trudeau's hopes for change. At the same time, it revealed a deep rift between Trudeau and many of his former colleagues who were moving toward the idea of an independent Québec. As a law professor at Université de Montréal in the 1960s, Trudeau became a sharp critic of contemporary Québec nationalism and argued for a Canadian federalism in which English and French Canada would find a new equality. In 1965 Trudeau joined the federal Liberal Party (with union leader Jean Marchand and journalist Gérard Pelletier) and was elected to Parliament. Trudeau was later appointed parliamentary secretary to Prime Minister Lester Pearson, and was named minister of justice in 1967. As minister of justice, he gained national attention for his introduction of divorce law reform and for Criminal Code amendments that liberalized laws on abortion, homosexuality, and public lotteries. He also established a reputation as a defender of a strong federal government against the nationalist demands of Québec. Trudeau was persuaded to contest the Liberal leadership in 1968 and was elected on the fourth ballot; on 20 April 1968 he was sworn in as Canada's fifteenth prime minister. 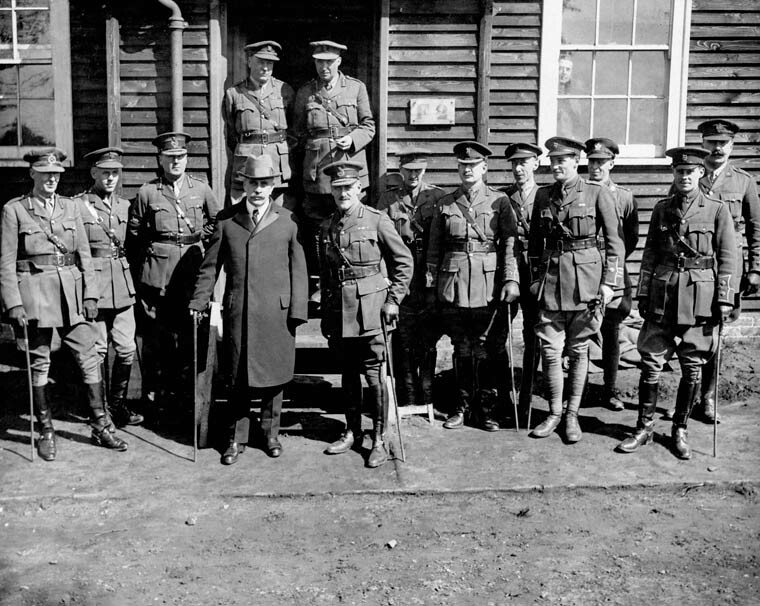 In the ensuing general election — which was dominated by "Trudeau-mania" — his government won a majority, and thus he began a period in office which was to last longer than that of any other prime minister before him, except Mackenzie King and Sir John A. Macdonald. The most dramatic event of Trudeau's first government was the October Crisis of 1970, which was precipitated by the kidnapping of British diplomat James Cross and Québec Cabinet minister Pierre Laporte by the terrorist Front de Libération du Québec (FLQ). In response, Trudeau invoked the War Measures Act, with its extraordinary powers of arrest, detention and censorship. Shortly after, Laporte was murdered by his abductors. Controversy over the appropriateness of these emergency measures and their effect on liberal democracy in Canada and Québec has continued to the present. Less dramatic, but of lasting significance, was the Official Languages Act of 1969, a central feature of Trudeau's new federalism. At the same time, he began to improve the position of francophones in Ottawa. However, one result of these policies was a growing anti-bilingual backlash in English Canada. This was particularly the case in Western Canada, where Trudeau’s perceived lack of interest in western economic problems and in western perspectives led to a growing sense of alienation. An important initiative in government brought about under Trudeau's direction was the attempt to centralize and nationalize decision making under the Prime Minister's Office and by central agencies such as the Privy Council Office and the Treasury Board. Although very much along the lines of administrative reorganization in Washington and in other Western capitals, these changes proved controversial, leading critics to charge inefficiency and the undermining of the role of Parliament and Cabinet. In the 1972 election, Trudeau came close to losing office and was forced to form a minority government with the support of the New Democratic Party. In 1971 Trudeau married Margaret Sinclair, daughter of a former Liberal Cabinet minister. Many women were heartbroken over the marriage of Canada’s most eligible bachelor to a woman 28 years his junior. The media followed every move made by the famous couple. Their tempestuous marriage, beset by many well-publicized differences, finally ended in separation in 1977 and divorce in 1984, with Trudeau retaining custody of their three sons, Justin, Sasha and Michel. After restoring a Liberal majority in 1974, Trudeau faced the effects of inflation. In an atmosphere of economic crisis, various expedients were tried, including mandatory wage and prices controls in 1975. This economic crisis was compounded by political challenge in 1976 when the Parti Québécois under René Lévesque was elected to office, both party and man dedicated to Québec independence. In May 1979, Trudeau and the Liberals lost the federal election to the Progressive Conservatives under Joe Clark. A few months later, on 21 November, Trudeau announced his resignation as leader of the Liberal Party. However, three weeks after this announcement, the Progressive Conservative government was defeated in the Commons and a new general election was called. Trudeau was persuaded by the Liberal caucus to return as leader, and on 18 February 1980 — three months after his retirement — he was returned once again as prime minister with a parliamentary majority, thus accomplishing a remarkable resurrection. Credit: \u00a9 Government of Canada, courtesy of Library and Archives Canada/1997-063 DAP. Trudeau's last period in office as prime minister was eventful. His personal intervention in the 1980 Québec Referendum campaign on Sovereignty-Association was significant. The defeat of the Parti Québécois's proposition was a milestone in his crusade against Québec separatism. In the wake of that victory, Trudeau pushed for an accord on a new Canadian constitution. As he was unable to gain provincial agreement, Trudeau introduced into Parliament a unilateral federal initiative to "patriate" the British North America Act to Canada with an amending formula and an entrenched Canadian Charter of Rights and Freedoms. This was followed by one of the epic federal-provincial battles of Canadian history, culminating in the final compromise and the proclamation of the Constitution Act, 1982 on 17 April. In other areas, Trudeau’s 1980–84 government was less successful. Continued inflation, high levels of unemployment, and large federal deficits cut deeply into his popular support. His government's National Energy Program, one of the major government interventions in the economy since the Second World War, further alienated the energy-producing regions in Western Canada. A continuing problem that plagued his entire time in office was that of Canadian-American relations. Trudeau often played an ambiguous role with regard to the US, but during his last period in office he moved toward a more nationalist position in economic relations with the US, and began to criticize its foreign and defence policies more freely than in the past. At the same time the policies of US President Reagan's administration were becoming more damaging to many of Canada's economic interests. In these years Trudeau devoted more and more time to the international stage, first to encouraging a "North–South" dialogue between wealthy, industrialized nations and underdeveloped countries, and then, in 1983–84, to a personal peace initiative in which he visited leaders in both the eastern and western blocs to persuade them to negotiate the reduction of nuclear weapons and to lower Cold War tensions. These activities led to his being awarded the Albert Einstein Peace Prize. At the same time, his government was responsible for the decision to allow US testing of the cruise missile, which roused widespread opposition from Canadians concerned about the worsening nuclear arms race. Public opinion in Canada was largely hostile to Trudeau and the Liberals from 1981 on. His personal style — sometimes charismatic, sometimes contemptuous of opposition; often mercurial and unpredictable — seemed to have become less of an electoral asset in difficult economic times than it was in his early political career. On 29 February 1984, Trudeau announced his intention to retire; on 30 June he left office, and his successor, John Turner, was sworn in. In 1985 he became a Companion of the Order of Canada. Trudeau's retirement was relatively low profile, but on two occasions he intervened in public affairs with dramatic effect. His strong opposition to the Meech Lake Accord (see Meech Lake Accord: Document) was considered influential. 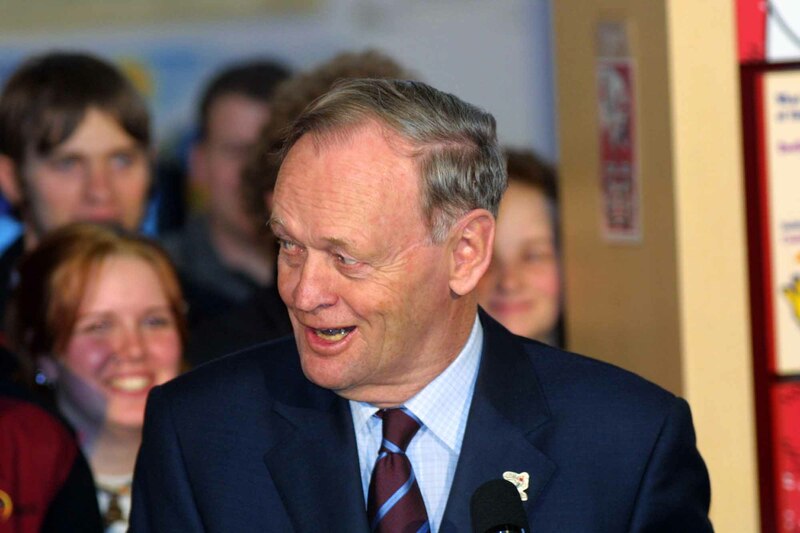 His speech against the Charlottetown Accord (see Charlottetown Accord: Document) at the Maison du Egg Roll in Montréal on 1 October 1992 has been credited with turning English Canadian opinion against the Accord in the 1992 Referendum. He did not, however, publicly intervene during the 1995 Québec Referendum on sovereignty. In 1993, Trudeau published his book Memoirs, based on a five-part miniseries by the CBC, and in 1996 he published Against the Current, a collection of his writings from 1939 to 1996. Trudeau died of prostate cancer on 28 September 2000 at his home in Montréal. His two sons were joined at the funeral by Margaret Sinclair, his former wife (Trudeau’s youngest son Michel died in an avalanche accident in 1998). Among the mourners were Jean and Aline Chrétien, Fidel Castro, Jimmy Carter, and Prince Andrew. Justin Trudeau's emotional eulogy was watched by Canadians across the country, and prompted speculation that the younger Trudeau would follow his father’s example and enter federal politics. In 2013 Justin Trudeau was elected leader of the Liberal Party and in 2015 he became prime minister. Overall, Trudeau's career as prime minister was one of electoral success. He served longer than every other contemporary leader in the Western world, becoming the elder statesman of the West. His achievements include the 1980 defeat of Québec separatism, official bilingualism, the patriated Constitution, and the Charter of Rights. Trudeau was unable, however, to alleviate regional alienation or to end the conflict between federal and provincial governments. By the late 1990s, his major legacy — Québec's retention as a partner to Confederation — was in much more serious question than at the time of his retirement. He left office much as he had entered it, a controversial figure with strong supporters and equally strong critics. That he was one of the dominant figures in 20th-century Canada is indisputable. Pierre Elliott Trudeau and Jacques Hébert, Two Innocents in Red China (1961). Pierre Elliott Trudeau, Approaches to Politics (1970). Pierre Elliott Trudeau and David Crenna, ed., Lifting the Shadow of War (1987). Thomas S. Axworthy and Pierre Elliott Trudeau, Towards a Just Society: The Trudeau Years (1990). Pierre Elliott Trudeau, Memoirs (1993). Ivan Head and Pierre Elliott Trudeau, The Canadian Way: Shaping Canada’s Foreign Policy, 1968-1984 (1995). Pierre Elliott Trudeau and Gérard Pelletier, ed., Against the Current: Selected Writings, 1939-1996 (1996). Pierre Elliott Trudeau and Ron Graham, ed., The Essential Trudeau (1999). Stephen Clarkson and Christina McCall, Trudeau And Our Times (vol. 1, 1990; vol. 2, 1994); John English, Citizen of the World: The Life of Pierre Elliott Trudeau, Volume One, 1919-1968 (2006); English, Just Watch Me: The Life of Pierre Elliott Trudeau, Volume Two, 1968-2000 (2010); Richard Gwyn, The Northern Magus (1980); Max Nemni and Monique Nemni, Young Trudeau, 1919-1944: Son of Québec, Father of Canada (2006); Nemni and Nemni, Trudeau Transformed: The Shaping of a Statesman, 1944-1965 (2011); George Radwanski, Trudeau (1978); Nancy Southam, Pierre: Colleagues and Friends Talk About the Trudeau They Knew (2008). Extraordinary Canadians: Pierre Elliott TrudeauCheck out Nino Ricci’s insightful biography of Pierre Elliott Trudeau at Indigo Books. Last Lunch with TrudeauMcGill law professor William Tetley recounts Pierre Elliott Trudeau's thoughts on the October Crisis. From the McGill University website. Jim Coutts, Pearson and Trudeau advisor, dead at 75An obituary for prominent political operative Jim Coutts. From thestar.com. 1970: Pierre Trudeau says 'Just watch me' during October CrisisWatch a CBC News clip of the memorable exchange between reporters and Prime Minister Pierre Trudeau on the steps of Parliament during the October Crisis. Justin Trudeau delivers eulogy for his father PierreView Justin Trudeau's poignant eulogy for his father, Pierre Elliott Trudeau. From the Oct. 3, 2000 edition of "The National." A CBC website. Pierre Elliott TrudeauA biography of Pierre Elliott Trudeau. From the Dictionary of Canadian Biography Online.